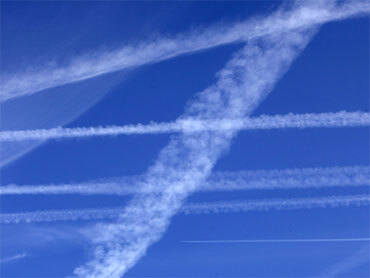 New EU Airspace Rules to Arise From Ashes? The European Union and the continent's air traffic agency want to move fast to abolish Europe's fragmented national airspaces which they say exacerbated the unprecedented air travel disruptions that grounded over 100,000 flights because of volcanic ash last week. Industry representatives, regulators and analysts all predict that the most important result of the post-mortem meetings starting this week will be a move toward a unified airspace at the expense of nations still seeking to jealously guard the sky as a symbol of national sovereignty. Unified airspace would also put the skis under one regional regulatory body instead of leaving decisions to individual countries - one of the key sources of confusion in the volcanic ash crisis. The Montreal-based International Air Transport Association has enthusiastically endorsed calls for streamlining Europe's air space, with the introduction of the so-called Single European Sky concept that would turn it into a seamless system such as the one in the United States. "The volcanic ash crisis that paralyzed European air transport for nearly a week made it crystal clear that the Single European Sky is a critical missing link in Europe's infrastructure," said IATA Director General Giovanni Bisignani. It reinforced the argument of the European Commission which wants to speed up the plan to unify control over all European skyways, since the absence of a single European air traffic regulator made it tough to deal with the crisis. The disruptions caused by the blanket closure of airspace over Europe as high-altitude winds carried ash from a volcano in southern Iceland, have sparked accusations that national regulators had massively overreacted. Critics pointed out that in contrast to Europe, airlines in North America and much of the Pacific Rim, with its dozens of active volcanoes, are provided with detailed meteorological data on the presence of ash and allowed to decide for themselves whether to fly and which routes to take. "We are looking for a comprehensive European approach in dealing with future occurrences like this, because clearly this one was not handled in best way," said David Henderson, a spokesman for the Brussels-based Association of European Airlines. The reassessments also will include a crisis-management plan to deal much more aggressively with all aviation-related emergencies, not just those caused by volcanic ash. "The crisis was well managed, but it was managed as a crisis" - not as a manageable threat, said Brian Flynn, deputy head of operations at Eurocontrol, the Brussels-based air traffic management agency. A comprehensive crisis management system was needed to be created to deal with future events that may jeopardize international air traffic, he said. "Volcanic eruptions are very rare in Europe. But we must also be able to deal with other threats to air safety, such as terrorism security alerts, health epidemics, and major social unrest," Flynn said. As a result, Eurocontrol - which includes 38 nations - is assembling a team of experts to analyze the lessons of the airspace closure, the worst disruption to hit international civil aviation since World War II. The experts are to meet on Tuesday to start collecting and analyzing data, Flynn said. Meanwhile, Siim Kallas, the European Union transport commissioner, said that a separate task force comprising representatives from all sectors of the industry - including airlines, pilots, airframe and engine makers, national regulators - will this week deliver an initial assessment of the impact of the ash cloud. Kallas has called an emergency meeting of EU transport ministers May 4 to fast-track the wholesale reform of Europe's air traffic system. Economists predict that Single European Sky would significantly improve Europe's economic competitiveness, since the current fragmented system is said to cost the industry euro euro5 billion a year. The list of questions experts dealing with the issue will have to consider is daunting. Since there is no internationally accepted safe level of ash in the air, it remains unclear how air traffic managers should weigh the economic damages against the potential safety dangers. There are no known instances where volcanic ash has caused an airplane to crash. It also remains unclear what the safest course of action is for an aircraft that inadvertently enters a zone of high-ash density. Manufacturer recommendations currently call on the pilots to throttle back to cool down the hot parts of their jet turbines - thus avoiding having the ash melt inside the powerplants - and to undertake a rapid, descending 180 degree turn to take them out of the danger zone. Pilots' groups insist that the final decision on whether to fly or not should always be based on safety concerns and therefore left up to the plane's captain, rather than the airline's management or government regulators. Passenger rights in a situation where tens of thousands have been left stranded all over the world also figure high on their agenda, the EU said. The regulatory action comes as thousands of travelers stranded by the ash crisis remain in limbo awaiting their flights around the world. Mark Tanzer, chief executive of Britain's ABTA, which represents British travel agents and tour operators, said about 35,000 stranded British tourists will be repatriated by Friday. Meanwhile, Iceland's Civil Protection Agency said eruptions from Eyjafjallajokull volcano are decreasing and that the volcanic plume was unlikely to cause further disruption to European airspace, since it was now too small to reach jet stream.